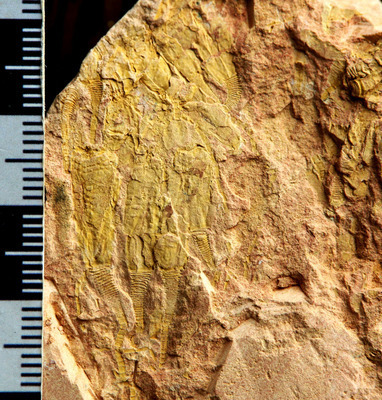 Newly described echinoderms from the Sandu Formation. Interesting... Are we looking at a cluster of individuals here? Yes, it's a definite cluster.